Kimberly-Clark's vision is to lead with 'essentials for a better life', with sustainability forming an important part of its comms activity in Asia, according to Shweta Shukla, its director for communications & government affairs in the region. Shweta Shukla started her career in PR as a communications intern with Unilever in 1999 while studying for an MBA, before being hired by Procter & Gamble in 2000. 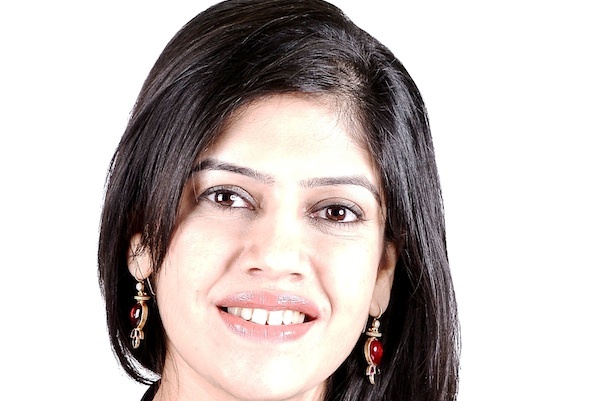 She undertook a number of roles for the consumer goods company, becoming head of external relations for P&G India across its full portfolio, from detergents and home care to baby and feminine care, to oral care and men’s grooming. She took up her current role in 2015 as director of communications & government affairs at Kimberly-Clark Asia-Pacific, the fastest-growing consumer-packaged goods company across Asia. At its APAC headquarters in Singapore, there is a two-member team, while all Kimberly-Clark’s other key markets in the region are staffed with communications and public affairs teams based on the size and complexity of the market. "In smaller markets where we don’t have dedicated PR staff, we use a partnership approach, guiding them from the regional headquarters," explains Shukla. "Additionally, we have ensured we have the right level of PR agency support across markets." The brand works with a mix of firms across the region including Ogilvy PR, Edelman, MSLGroup and local agencies across key markets. Kimberly-Clark APAC is focused on five priorities that Shukla calls the ‘DRIVE’ acronym. Under this banner, it includes driving brand PR and credentials; raising the corporate profile and employer branding; internal communication that inspires employees; vision for long-term CSR and sustainability; and elevating internal and agency capabilities. A recent example which brings many of these objectives together is the ‘Kleenex – Look after your forests’ campaign. When the haze in Southeast Asia reached perilous levels in 2015, Kimberly-Clark noticed that consumers were beginning to question their brand choices too. "As a company whose vision is to lead with essentials for a better life, Kimberly-Clark looks at sustainability in a holistic way – not just sourcing responsibly but also educating consumers," explains Shukla. On the sourcing front, Kleenex tissue products sold across most of Asia are certified by the Forest Stewardship Council (FSC), which means that its raw materials come from certified forests that have minimum impact on both nature and communities. To build this awareness, the comms team secured an endorsement from independent conservation organisation WWF on its "We breathe what we buy" campaign. "Together we helped consumers recognise benchmarks like FSC for sustainability-sourced products," says Shukla. The campaign was launched in stores and was advocated via social and digital channels and in addition, at the corporate level, Kimberly-Clark was one of the first 10 companies to sign a declaration that its paper products sold in Singapore are from socially responsible sources. This was in response to the Singapore Environment Council and the Consumers Association of Singapore’s call to publish a list of firms which practice sustainable sourcing at the time of the haze. With the campaign driven by PR and via the partnership with WWF, Shukla says it not only helped build corporate equity but also brand awareness and competitive advantage with customers. Shukla says there are a number of challenges facing the business from a comms perspective. With diverse needs between developed and emerging markets within the Asia-Pacific region, and with each one at a different stage from a corporate reputation or employer branding standpoint, a different treatment from a PR point of view is required. The prospect of news being delivered at the speed of light is another challenge. "The proliferation of social media makes any issue leap frog overnight and spread faster across markets," says Shukla. Heightened stakeholder scrutiny is another important issue, with increased expectation from NGOs, governments and customers to take concrete steps to protect and preserve the environment, linked to the global call for action on climate change. PR strategies need to evolve with business needs and external dynamics. For example while digital was in the past considered a brand PR domain, Shukla says Kimberly-Clark is now using it as a critical tool, and even for corporate PR, to build its employer brand. "We are no longer relying on potential hires or stakeholders to ‘search’ us – instead, we offer them a one-stop shop on what Kimberly-Clark in APAC is all about via a newsroom," she says. This newsroom is a hub for the latest press releases, company fact sheets, images and videos. On issues and crises, Kimberly-Clark is also increasingly trying to distinguish between what is a ‘company’ issue versus an ‘industry’ one and making choices in its response strategy accordingly. To fulfill this need, comms staff need a strong understanding of the business and the external environment, so they can identify synergies between the two for business advantage and execute them successfully. As lines get blurred and resources get leaner, Shukla believes that staff will also need to integrate with other functions through formal channels and by building relationships for increased productivity, as well as being able to provide mature counsel and work prudently in times of crises. "From my experiences over the last 16 years, PR can demonstrate – no less than any other function – a very direct and tangible impact on the top and bottom lines," says Shukla. "This could be via brand PR impacting a brand’s equity scores or influencing/leveraging government policies that lead to achieving hard financial incentives or cost savings. "Or it could be integrating CSR into brand sales that helps build both the topline of the participating brands and corporate equity. By pre-empting or managing an issue or crisis well, PR actually ensures zero business disruption. The scale of what it can accomplish for the business is pretty high."